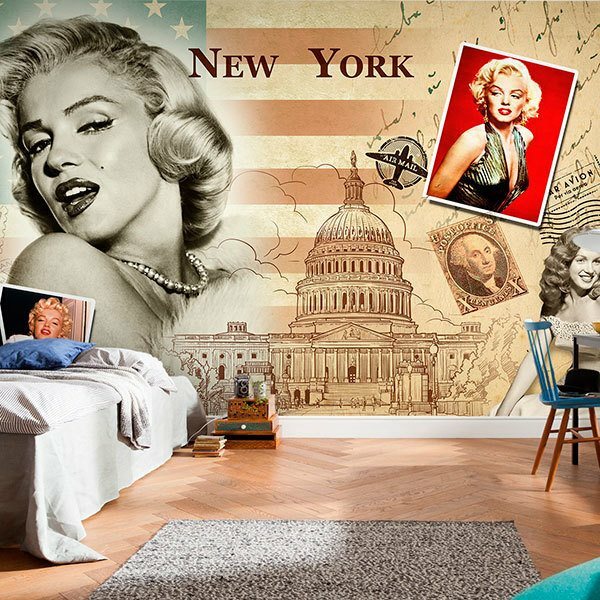 Wall mural Collage Marilyn Monroe. 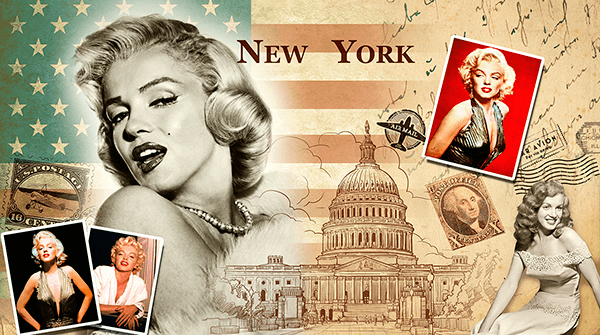 Complete montage of images by Marilyn Monroe between images referring to the United States, stamps, the Capitol. Fabulous collage with several mythical photos of Marilyn, also appear stamps of airplanes and of the president Washington, a letter or the national flag.